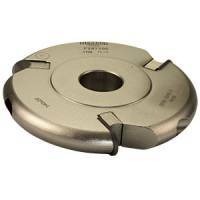 This bearing guided cutter produces a round over with an additional square fillet. The decorative edge produced is most attractive and is particularly suitable for edging pine tables etc. 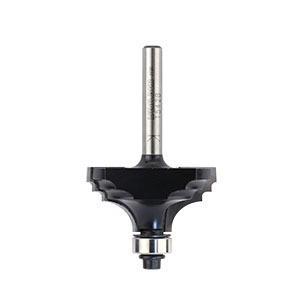 The small radius on the corners produces a profile that requires little finishing.